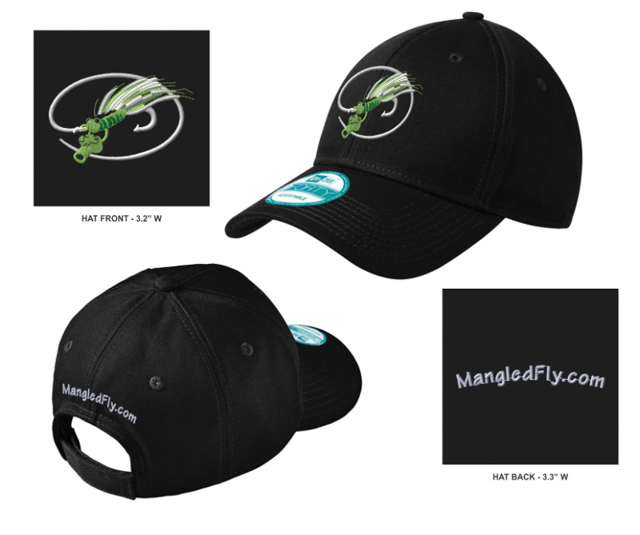 A New Mangled Fly Trucker Hat will be hitting the Shop this coming week. Will post another blog when it’s available in the Shop. Also look for a couple new long sleeve sun shirts coming soon. 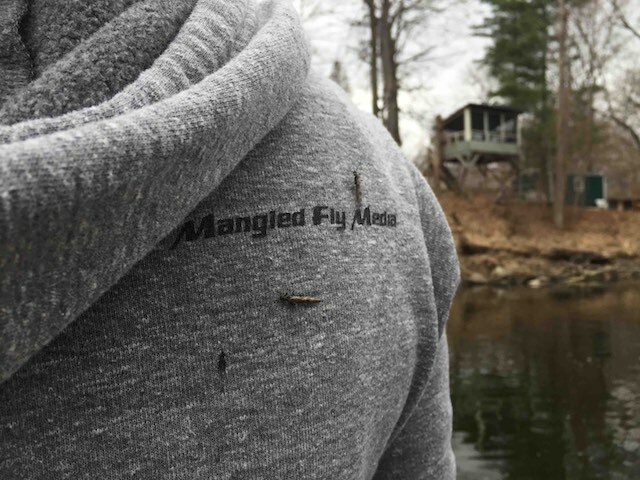 Aaron Keefe sent in this photo of the Mangled Fly Zip-Up Hoodie getting the attention of a few Little Black Stones. 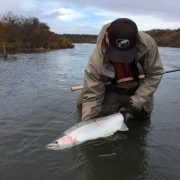 Thanks for sharing this pic Aaron. This is a great time of year for this sweatshirt. With morning temps usually a little chilly, nice to have a little extra layer. One of the softest most comfortable sweatshirts I own. We have 3 remaining classic Sweatshirts On Sale, for $20. Originally priced at $55. Inventory clear out. We have decals! Check them out. Buy them individual or receive one free with any clothing purchase. 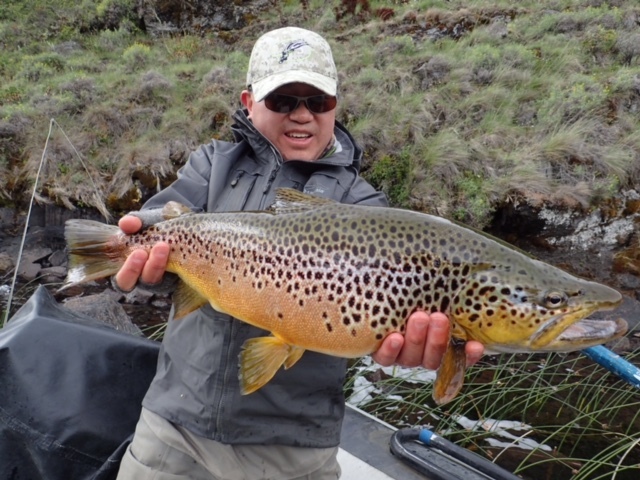 Kean fishing in Chile this week just sent us this picture of an impressive 23″ brown trout. Kean continues to believe in the luck of the Mangled Fly Camo hat. 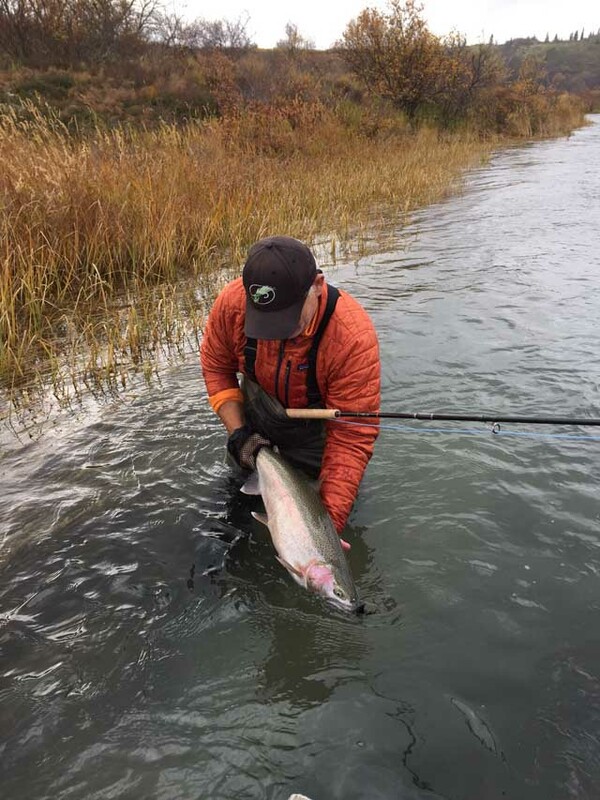 (now in two shade of camo) Nice fish Kean and glad the camo hat gives you a little extra confidence . 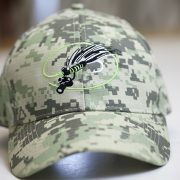 A new color of Digital Camo Mangled Fly Hat is now in stock. The popular Sand Digital Camo from this summer has a new partner. The New color has a little green in the design and is overall a dark shade. Also added a different design to the Stocking Cap. Went with the classic logo now. 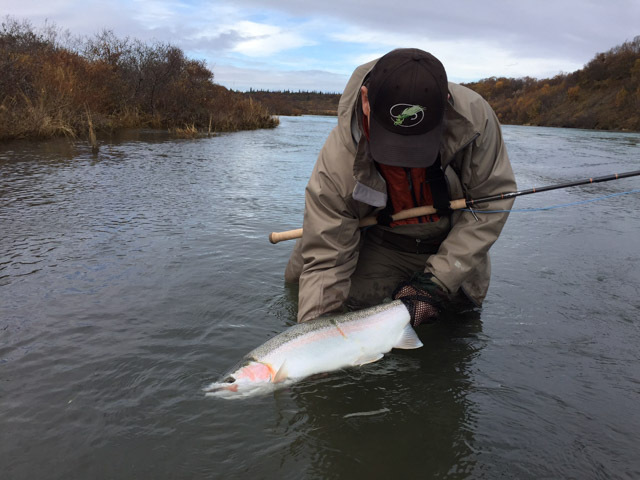 We still have both the Fish Hook Design and Now the Classic Logo in stock. Both stocking caps/ beanie’s are the same fleece lined stocking caps, that is one of the warmest stocking caps that I’ve worn. With Mother Nature looking like she is going be playing business this winter, make sure you stay warm when you head out. Two New Items just added to the Shop Area make sure to check them out. 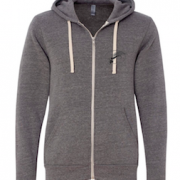 New Mangled Fly Zip-up Sweatshirt! This is one of the softest sweatshirts that I’ve ever worn. From the same company that did our Muskie T-shirt. 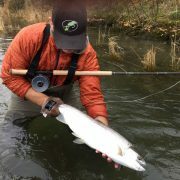 If you have purchased the Muskie T, you know that soft feel that I’m talking about. 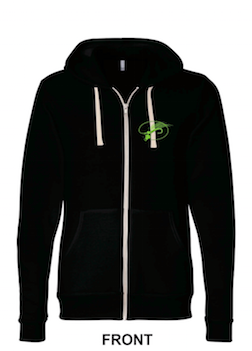 The Zip-Up Sweatshirt has been a request of years, and we finally found the correct sweatshirt to put the Mangled Fly Logo on. 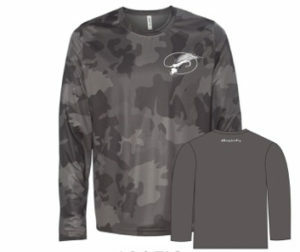 This is a great sweatshirt for brisk mornings out fishing, or just a cozy sweatshirt that allows you the comfortable working around the house. 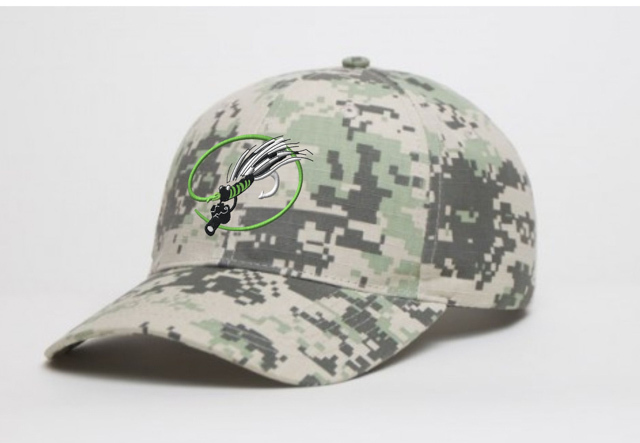 Back in Stock but with a New Logo, is the popular Digital Camo Hat. We went classic Mangled Fly Logo on this run of hats, and think they turned out great! 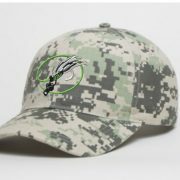 A New Mangled Fly Camo hat is on the way, after a great summer of good luck with last batch of Camo hats , I can’t wait to see New Mangled Fly Camo Hat what we can catch with the New Camo hats. We went with the classic Mangled Fly Logo on this batch with a different Digital Camo pattern. Should have the New Hats on the site in a week or so. 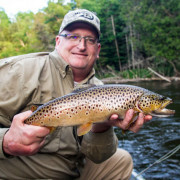 I’m current sold out of the original Camo Hats, but if you want one of the last ones, give Justin at Muskegon River Fly Shop a call he has a few remaining in stock. 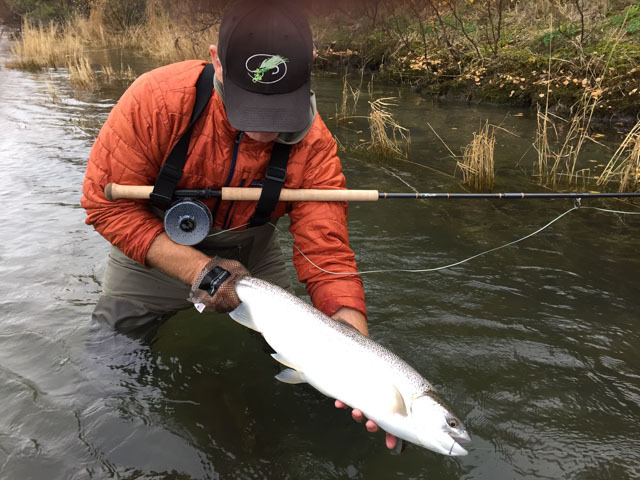 So if you saw my post earlier this summer about the Digital Camo Mangled Fly Cap and how it keeps producing nice size trout, Keri has now proved that the Digital Camo Cap also catches Big Salmon! 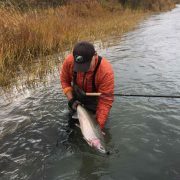 Keri fishing in AK with a great Coho Salmon. 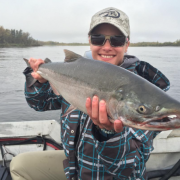 Nice fish Keri thanks for sharing. 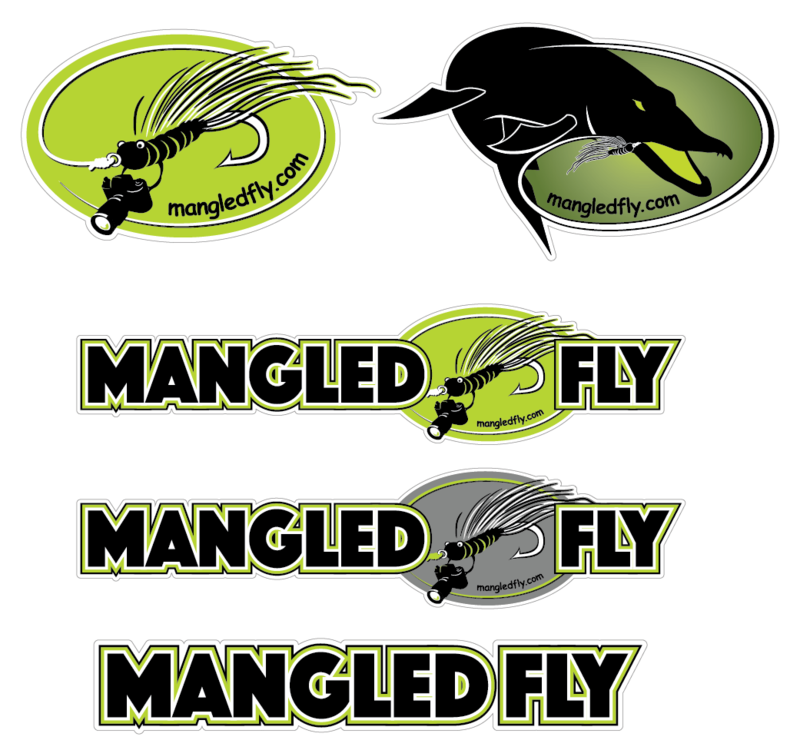 Have a few new items coming out this week that will be added to the Mangled Fly Shop page. 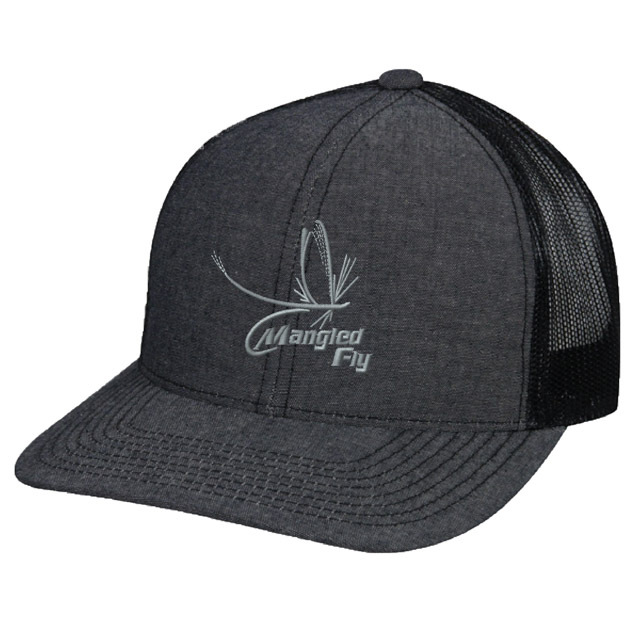 Our Classic Black hat with the Mangled Fly Logo will be back in stock, this popular hat is coming back, if you didn’t get yours on the first run, grab it now before it’s gone. A brand New Item to the Shop area will be the Mangled Fly Camo Board Shorts. 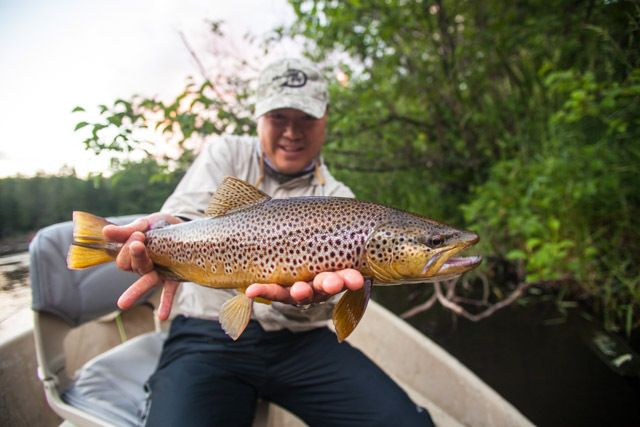 These shorts are meant to fish in, meant to get dirty, and even meant to swim in. More like a board short, will dry quick and will not be too hot in the sun. I had a chance to test these out before we put the Mangled Fly logo on them. Very comfortable and a great short for summer time fun. We will only have limited quantity and sizes available so get them while you can. Hope to post inventory this week. If they sell out before you can get a pair drop me an email and I’ll see if we have additional interest to get more in stock. A popular item in the past has been our long sleeve sun shirts, Tidal and Orginal Long Sleeve (both now on Sale). This year we added a twist of Camo to the look. 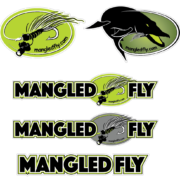 The picture below is not the finalized logo, we have added a little green and black to the Classic Mangled Fly Logo. I will make sure to post the updated picture of the shirt when they arrive this week. I’m looking forward to this shrit for the late summer and early fall. This is a staple of my clothing attire. I wear them fishing, to the gym, and around the house. Very comfortable and has UV protection against the sun. Again we did a limited run in sizes and quantity so get it while you can. 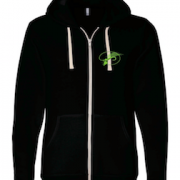 But also another item if we don’t have your size, please don’t hesitate to let us know. So those that fish with me know that I have a few superstition’s. 1 – NO BANANA’S 2- No white lighters . Bring either of these items in the boat and you will get some sort of negative reaction. #grumpyguide. Also my wife has been known to laugh at me, as I tend to wear certain clothing items when I’m guiding and not others. Based on past success when wearing these certain clothing items. 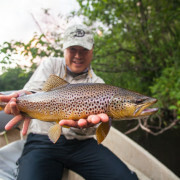 With that I have lucky hats that I will continue to wear when fishing is good. And No Way do we wash these hats, can’t clean out the good luck! No matter how bad they start to stink! 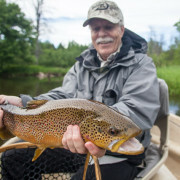 With that, one thing I’ve noticed this year, is that clients wearing the Digital Camo Cap in my boat this month have scored some nice trout. 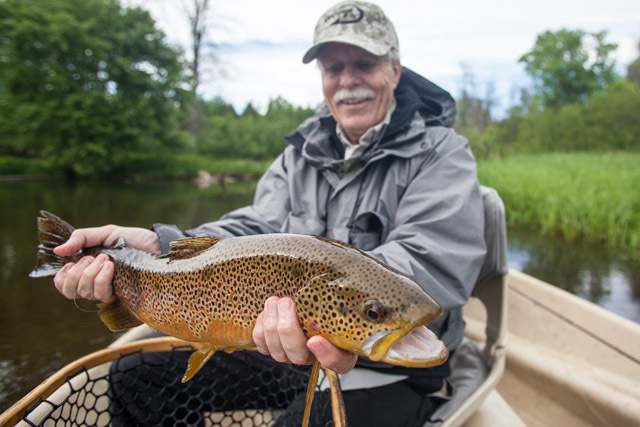 So can it be true that the Digital Camo Cap can help you score a trout over 20″? Proof might be in the pudding. I know if I didn’t have one yet, I would get one before they are gone.